At Aufgang Architects, we strive to provide the highest-quality creative, cost-effective, and highly marketable design solutions to meet all of our clients’ objectives. We are committed to maintaining the highest standards of ethics and integrity in our client relationships, and sustain clear and substantive communications proactively and responsively throughout the entire design and construction process. We treat each project as a unique creative opportunity and craft our designs to be top of the line - while adhering to budget requirements and complying with all established codes and standards. We recognize the importance of energy conservation and limiting our impact on the environment, and are mindful to keep our designs as environmentally conscious as possible. Since its establishment in 1971, Aufgang Architects has come to be known for providing thoughtful, effective, and creative designs for our clients – a focus that has made our continued success and consistent growth possible over the past four decades. Success in this intensely competitive and constantly evolving real estate development market requires fresh and sophisticated approaches, and as the industry has changed over the years, so have we. Today, our firm enjoys a reputation for innovative and imaginative designs, driven by the changing demands from both our clients and the rapidly developing marketplace. Our designs emphasize high quality and appealing features that add unique value to each project and enhance their marketability. We anticipate and address the impact of economic cycles, changes in regulations and building codes, emerging awareness of environmental impact, and the imperative need for energy efficiency to create designs that meet the expectations of the growing market – an approach that has led us to create a myriad of commercial, residential, and mixed-use structures that blend contemporary style with timeless sustainability. Aufgang Architects is a New York State Certified Minority Business Enterprise. A graduate of the Universidad de Buenos Aires, Argentina, Adrian worked 14 years for an architectural firm in Buenos Aires and joined Aufgang in 2004. He enjoys collaborating with a team of professionals from the creative phases through the construction of new projects. Contemplating the entire process—concept, function, design, and construction—is a form of poetry to Adrian that he appreciates and enjoys. Growing up in Buenos Aires, Argentina, Pablo was immersed in an environment of mix of Art Nouveau, Neoclassical, and Rationalist architecture. At young age he discovered his appreciation for architecture, and began designing spaces and building architectural models after school at home. Pablo went on to earn his Bachelor’s Degree of Architecture from University of Buenos Aires in Argentina, where he graduated with honors in 1994. After graduation Pablo worked for several firms in Argentina, gaining valuable working experience in all aspects of the architectural and construction process – from schematic design to managing the construction of residential and commercial buildings. 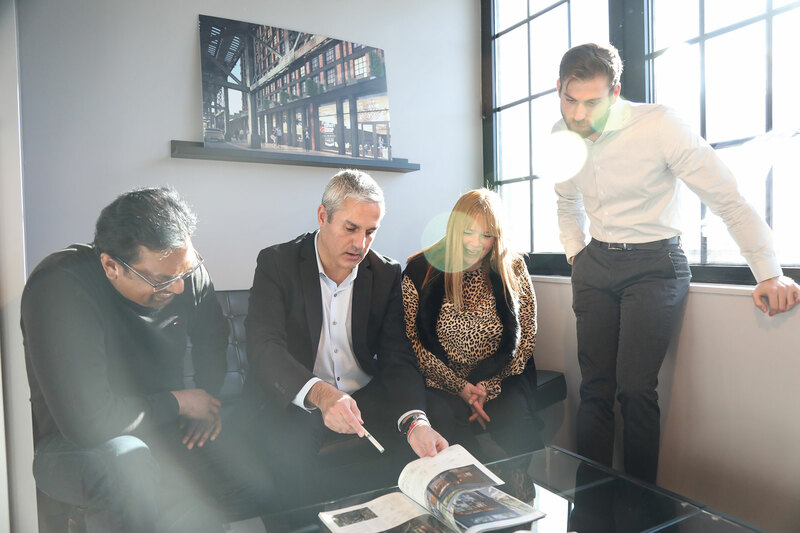 Pablo brings over 21 years of experience in developing multi-family residential, commercial and community facility projects to our team at Aufgang Architects. His responsibilities include design and development, project management, and client relations. 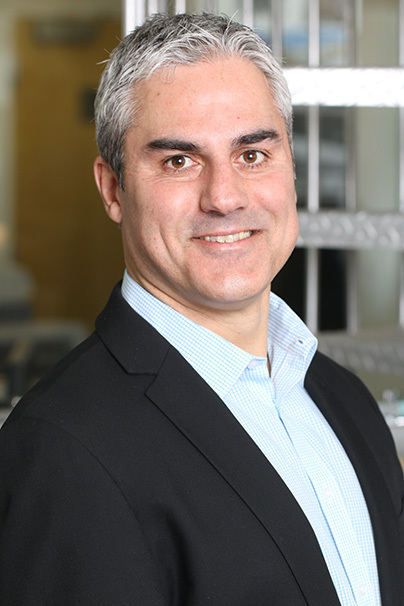 Pablo has personally managed several successful projects and is focused on achieving all of our client’s objectives. In addition to his design and management experience, he also has extensive experience in preparing feasibility studies, developing construction documents, coordinating with other trades, code review and zoning analysis. Ariel Aufgang, AIA, was born in Buenos Aires in 1979. A naturalized US citizen, he was educated in the United States. 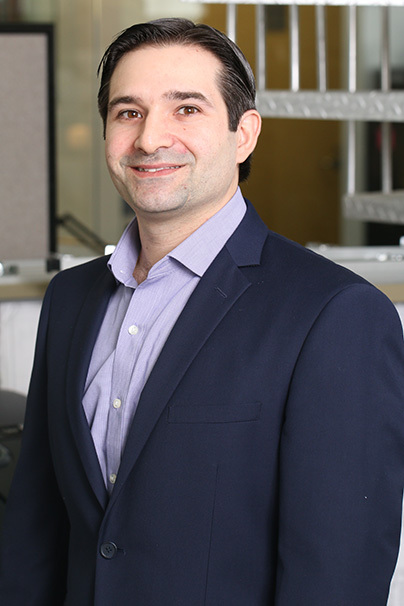 After joining the firm at 18 while still a student at Rensselaer Polytechnic Institute, he quickly rose to Partner upon completing his studies. In 2012 he became Principal of the firm. As an architect, I have been heavily influenced by the importance of family and the feeling of “home.” I obsess over the awareness that selections and designs I make on my projects will affect people’s lives in profound ways. I therefore respect the responsibility of designing homes in which people live, raise families and grow old together, and the influence of the design of their homes has on their lives, lifestyles, financial well-being, and spirits. Well designed and esthetically pleasing homes contribute to the appeal and viability of neighborhoods, and enhance the social and economic strength and stability of communities. For architects, this is a very different responsibility compared to designing office or retail space or class rooms. This obsession drives my desire to focus my firm’s work on apartment houses and hotels, spaces that are experienced over and over again, and that allow for personal intervention by the occupants. All architecture impacts lives, but people’s homes do so in an emotionally profound way. I have childhood memories of my grandparents’ apartment in Buenos Aires, Argentina, where I was born. I can vividly recall the smooth surface, color and smell of the polished wood floors on which I played as a youngster. I remember the substantial threshold separating the wooden dining room floor and the tiles in kitchen. I can still visualize an overabundance of amazing paintings lining the walls up to the ceiling. Memories of such details affect us, and color and influence our lives. I often discuss with my staff how the doorknob we choose may end up being more important than the color of the brick on a building’s exterior to the people who will live there. Memories of a family’s home resonate emotionally for many people. I was fortunate to have built the foundation of my career during the implementation of Mayor Bloomberg’s New Housing Marketplace program. My incredible clients have allowed us to design over 15,000 units of new and preservation affordable housing since the year 2000. Our goal has consistently been to contribute to very gratifying housing transitions and quality of life experiences for many families. In the first Century AD the Roman architect Vitruvius wrote that a good building must reflect three principles: firmitas, utilitas, venustas—durability, utility and beauty. While technology and engineering, and economic, financial and social factors have evolved drastically over the past two millennia, certain elements of successful architecture remain immutable. This is an amazing time. Technology allows us to create new and innovative designs in response to a heightened awareness and growing concerns about energy usage and the environment. The goal of reducing energy consumption has led to new building practices, along with innovative strategies to conserve energy and reduce consumption of resources, control emissions and save money. Today New York has an undeniably distinctive and appealing architectural identity. High profile super projects change the skyline, and neighborhoods throughout all of the boroughs evolve as a result of thoughtful development. Our designs respect the neighborhood fabric and social context of their sites, and complement them with innovation and a fresh outlook. Vivien was born in the United States, but was raised in Argentina and received her license to practice architecture after graduating from the University of Belgarno in Buenos Aires. She soon became an assistant professor at the University of Buenos Aires, where she taught undergraduate classes in drawing and design. 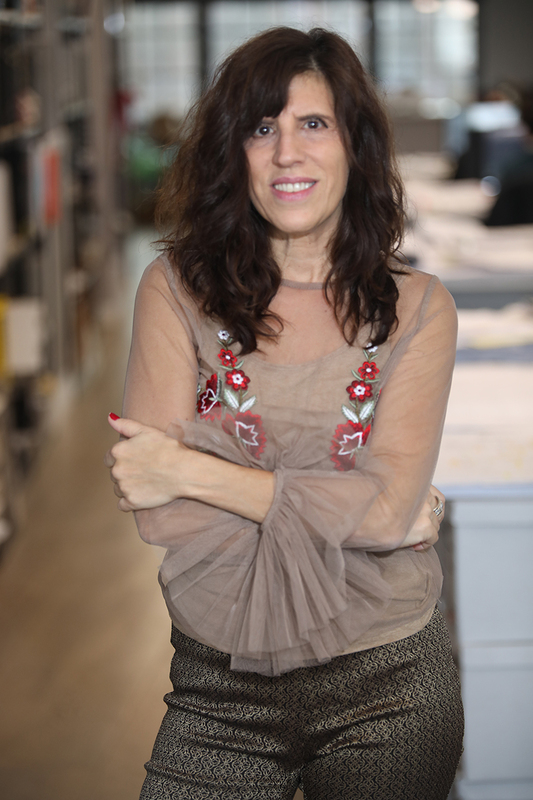 She also spent time working at Juan Carlos Recepter Architects, before becoming principal of her own architectural firm. Expanding on her passion for unique and innovative design, Vivien created her own line of housewares and furniture, which were sold in top design stores. Her work earned her a series of notable mentions, including a cover feature in the Argentinian publication “First” Magazine, an inclusion in the Central Society of Architects exhibit “El Diseño es el Objeto,” and an honorable mention in Architectural Record Magazine, as a runner-up in their annual cocktail napkin sketch contest. At Aufgang Architects, Vivien brings her immense talent and creative vision to craft original interior and exterior designs for numerous large and small mixed-use residential buildings, commercial structures, and hotels. She approaches each project as a unique piece of art, and applies her tenacious attention to detail to provide the highest quality designs for each client’s needs. Vivien is a leader in design preparation, concept development, layout design, presentations, hand sketches, and drawings. Her other skills include implementation of the latest software including AutoCAD, Revit, Adobe Illustrator, and Sketch Up, in drafting her unique designs. In her spare time, Vivien paints and does indoor sculptures. Alex began his career in construction, spending years working as a skilled welder. He then became drawn to design, and started combining his experience in the field with his knowledge of computer software to design and create Point of Purchase Display units for major retail companies. Since joining Aufgang Architects in 2005, Alex has been using his talent and years of experience as an architectural draftsman, and is responsible for developing construction documents and coordination with consultant documents on many small and large residential, commercial, and mixed-use buildings. In his spare time he plays drums for the band “Twisting Faith,” which he co-founded, enjoys horseback riding and is an avid certified wreck diver. Evan Kalogiannis Job Captain Has been with the firm since 2015. 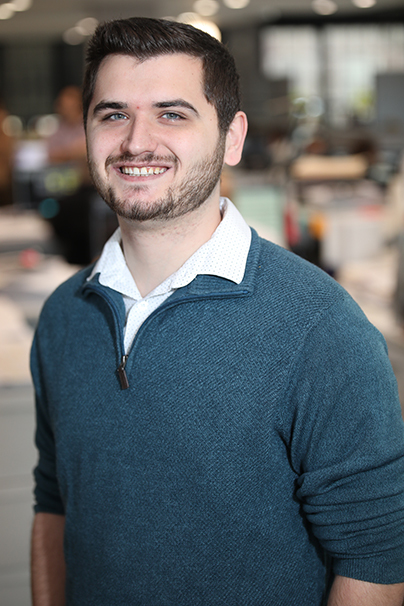 A recent graduate from the Bachelor of Architecture program at the Bernard and Anne Spitzer School of Architecture in The City College of New York, Evan Kalogiannis is a newer member to the team at Aufgang Architects. As a member of both the Society of American Registered Architects (SARA) and the American Institute for Architecture Students (AIAS), Evan has received the Student Merit Award and Student National Award during the Fall and Summer of 2013 for scholastic projects through these organizations and has also studied in Barcelona for a vertical studio design program in the Summer of 2012. With proficient skills in 3D modeling, drawing, and a good team work ethic, Evan is an excellent addition to Aufgang Architects. Alejandra was born and raised in Argentina, and has always had a passion and talent for design. Her passion led her to study at the Universidad Nacional de Cordoba Argentina, where she graduated from the university’s School of Architecture and Urban Planning, and received her full license to practice architecture. After graduating she became very active in the Architect’s Center in Rio Cuarto, Argentina and began taking on projects designing houses and commercial structures, before becoming principal of her own firm. In the late 1990’s Alejandra moved to the United States and settled in Florida, where she began to take on freelance work designing houses and interiors. In 2001 she moved to New York to continue working as a freelance consultant, and was hired by several firms across the Westchester area to share her expertise in designing various projects. Alejandra first began working for Aufgang Architects in 2004 as a part-time consultant, and accepted a full-time position in 2005. 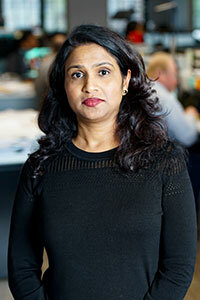 Her 25 years of experience in the architecture field are an invaluable asset to the Aufgang team. 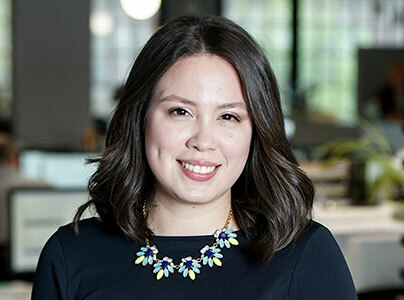 Alejandra is one of our lead designers, applying her talent and vision to a range of projects including large mixed-use structures, smaller residential units, retail spaces and rehabs. Doris Jean Masear is a New York State licensed architect, and has been practicing Architecture since 1984. She earned her Bachelor’s Degree in Architecture from the City College of the City University of New York in 1986. She is fluent in Spanish and English, and has also studied at Universidad Albert Einstein, San Salvador, El Salvador, and the New York Institute of Technology. 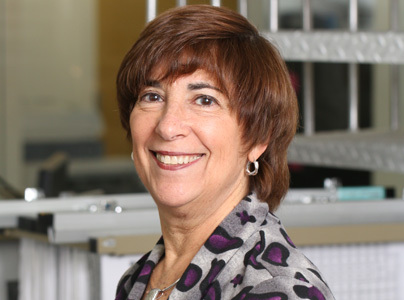 Before joining Aufgang Architects, Doris was staff Architect at Alan Lapidus Architect PC; responsible for design, development, construction management of hotel projects in New York, Florida, Atlantic City, Puerto Rico, and other locations. She brought over 16 years of project design and development experience when she joined our firm in 2000. At Aufgang she is involved in the design, development and management of residential and commercial projects in New York City and throughout New York State. Steve holds an Associate’s Degree in Architectural Technology from the State University of New York at Delhi, and earned his Bachelor’s Degree in Architecture from Pratt Institute in Brooklyn, NY. 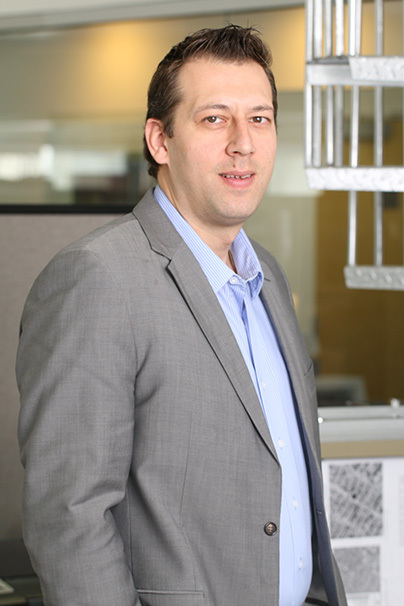 Steve joined the firm in 1997, and over the years he has led the development of a multitude of projects throughout New York City and the surrounding area, including commercial buildings, community facilities, multi-family residential structures, and educational occupancies of varying sizes. As an Associate at Aufgang Architects, Steve is responsible for overseeing the development of varying projects, including initial zoning analysis, project development from schematic phase to construction documents, project management and coordination, agency filings and approvals, and construction site oversight. 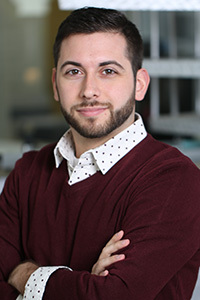 Michael graduated with honors from the Bernard and Anne Spitzer School of Architecture at the City College of New York in 2014, and accepted a position as Architectural Designer at the firm shortly after. During his years at the CCNY, Michael amassed an impressive amount of extra-curricular experience. As a founding member and Vice President of the school’s chapter of the American Institute of Architecture Students, he was instrumental in initiating a multitude of programs for undergrads including “Freedom By Design,” a non-profit program in which groups of students take on a client with a disability then raise the funding to re-design a structure to be ADA compliant - allowing people with disabilities more freedom to live where they choose. Michael also found time to travel to Morocco to teach English, an opportunity that allowed him to experience a unique culture and study its eclectic architectural elements. Before joining Aufgang Architects, Michael worked as an intern in the construction and design department at Hermès of Paris, where he gained invaluable experience in and appreciation for retail design. He was also awarded a post-graduate architectural grant to travel to Costa Rica, where he spent time living and working to research sustainability and eco-tourism. 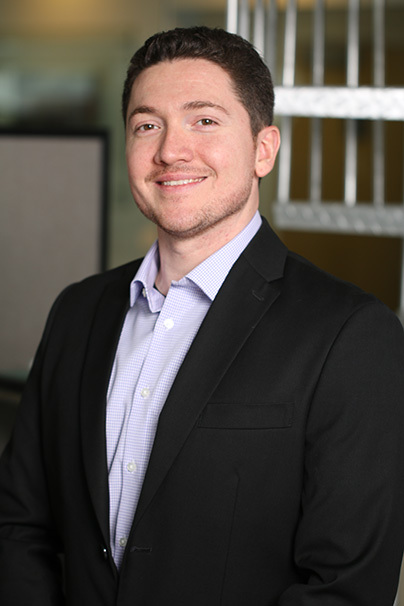 Here at Aufgang, Michael is responsible for project design and development; leading projects through the design phase while managing the background work of facilitating construction administration, coordinating consultants, and preparing and submitting construction documents. Emmanuel was born in Buenos Aires, Argentina to a family of Italian descent. He came to the United States at age 19 to study engineering, but while working at a cousin’s architectural office he discovered his true passion was architectural design. Emmanuel went on to graduate with honors from the New York Institute of Technology in 2011, with a Bachelor’s Degree in Architecture. Emmanuel has applied his enthusiasm, experience, and dedication to our clients’ projects since 2006. Since joining us at Aufgang he has proved to be an invaluable leader in project planning and development, zoning and feasibility studies, design preparations, and managing RFP and competition teams. 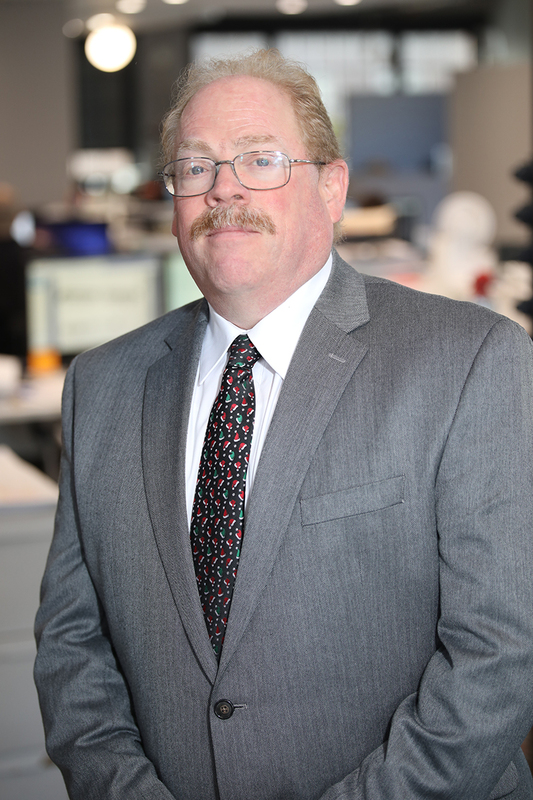 He also brings his extensive experience managing construction document development from code compliance revision to coordinating with consultant documents, and participates in the entire approval process with the city’s building and planning departments including DOB, HPD, and HCR. Emmanuel is hands-on through all phases of development - leading project meetings, construction administration, selecting materials, and assisting clients throughout construction of the project. 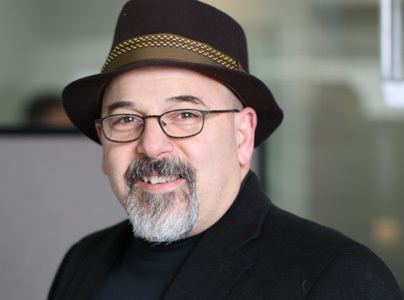 His knowledge and versatility are showcased through his ability to design various types of structures - from large mixed-use structures, to smaller boutique units, academic buildings, and affordable housing. Alexandra began her career at Aufgang Architects as an intern in the summer of 2015 while she was a student at Iowa State University, where she was awarded the Spiros Mentzelopoulos Award for promising design achievements in architecture in 2013. After completing the program and graduating in the spring of 2016 with a Bachelor’s Degree in Architecture, Alexandra accepted a full-time position at our firm and is quickly becoming one of our most talented Architectural Designers. Her passion for architecture began during her childhood in Puerto Rico, where she was born and raised. Her family then moved to Canada before settling in New Jersey, and her passion has followed her every step of the way. As a student at Iowa State Alexandra spent a semester abroad in Italy where she studied sustainable design while immersed in the historic architectural styles of Rome and Florence. She is fluent in both English and Spanish, and in her spare time she loves to draw and explore her artistic side. She believes these collective experiences have given her a unique perspective towards architectural design that she carries through to her every day work. As an Architectural Designer at Aufgang Architects, Alexandra is responsible for project design and development as well as facilitating construction administration. She is also a member of the Westchester Hudson Valley Chapter AIA, and is currently working towards obtaining her full architecture license. Daralynn received her Bachelor’s Degree in Architecture from Temple University in Philadelphia. She then spent years working freelance for firms around the area gaining experience in designing various types of residential structures, before accepting a full-time position at our firm in 2014. At Aufgang Architects, Daralynn employs her knowledge and experience to draft and design residential and mixed-use buildings. Ed was born and raised in Bergen County New Jersey, and earned his Bachelor’s of Science Degree from the New York Institute of Technology in 1973. Prior to joining Aufgang Architects, Ed gathered 21 years of experience managing projects in a multitude of different fields. Some of his notable former employers include Burns and Roe, where he spent years managing the design and maintenance of nuclear power plants in the United States and Asia, and Kajima USA Group, where he oversaw the design and construction of numerous office buildings and manufacturing and assembly plants. As Senior Project Coordinator at our firm, Ed is responsible for ensuring quality control for all of our projects. He employs his expertise and extensive knowledge of the architectural process to advise our staff throughout the development of any project to ensure the entire process runs as smoothly as possible from start to finish. Additionally, Ed is responsible for scheduling project milestones, coordinating clients and consultants, facilitating the review of project shop drawings, and initiating new programs for the office including detail libraries, Revit templates, new AutoCad software, and updating specifications. Outside of work Ed is an avid gardening enthusiast specializing in growing giant pumpkins. Edwin Vazquez, AIA, R.A. Director of Preservation Has been with the firm for over 10 years. Edwin was born and raised on the island of Puerto Rico, but moved to the United States and has been a native New Yorker since 1982. After graduating with high honors from the Colegio Marista in 1979, Edwin went on to attend undergraduate studies at the University of Puerto Rico, before coming to the U.S. to enroll in the New York Institute of Technology to study architecture. Edwin brings over 30 years of prior experience to our team at Aufgang Architects, previously working in corporate interior design and construction service firms, leading tenant build-out projects, facilitating real estate management and leasing services with supportive documentation, and moderating various tenant-in-place rehabilitation projects all over the states of New York and New Jersey. Additionally, Edwin is currently certified as a New York State Emergency Medical Technician, and holds a certificate with the American Heart Association as an accredited CPR and First Aid Instructor. He has also been an active member of the Beekman Fire Department and Beekman Volunteer Rescue Squad since 1987. At Aufgang, Edwin serves as our Director of Preservation and is responsible for the coordination and management of residential rehabilitation projects, moderating tenant-in-place rehabilitation projects, facilitating the design, coordination, and implementation of various adaptive reuse projects, and is currently leading numerous renovation and new construction projects throughout all five boroughs and upstate New York. He is currently pursuing his license to be a registered architect in the state of New York. 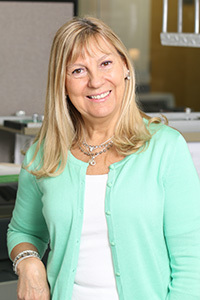 Carol Trapp Administrative Assistant	Has been with the firm since 2004. 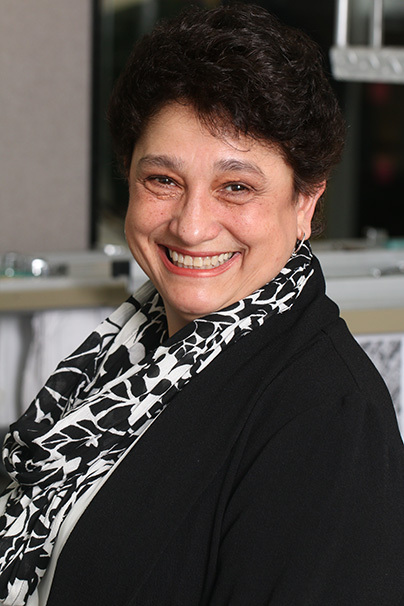 Carol earned her Master’s Degree from the State University of New York and Binghamton, and began her career working as a legal editor, paralegal, legal secretary, and in various other administrative positions. 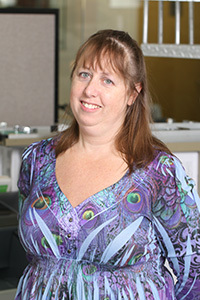 Carol joined our firm in 2004, and has worked diligently as our timekeeper, paperwork expediter, and forms wrangler. She is also the assistant to our Office Manager Elise, and sits in for her on those rare occasions she is away. Carol is additionally responsible for ensuring all needed office supplies are readily available, including coffee, tea, and pretzels. Owing to her love of animals, Carol volunteers at a local animal shelter in her spare time. 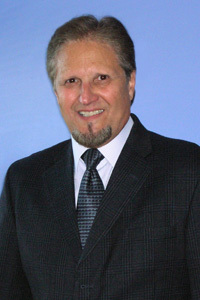 Joseph Bertolino Construction Administrator Has been with the firm since 2006. 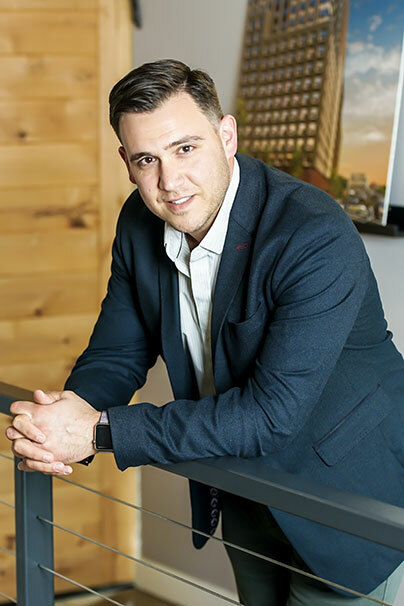 Joe started his career as a draftsperson, and studied Architecture at Orange County Community College before working his way up through several firms in Westchester and Rockland Counties. 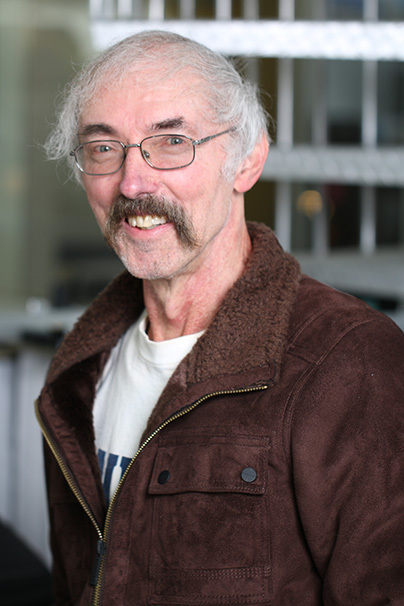 He joined Aufgang Architects in 2006 and brings over 35 years of experience to our team. He has extensive knowledge and experience in planning, coordination, design, and interfacing with project architects, clients, consultants, and government agencies, in addition to conducting field inspections and project budgeting. Joe’s expertise is used to carry a project’s development from start to finish, including construction drawing development, on-site supervision, and client interaction. 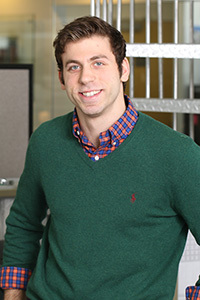 Joe is currently working towards earning his Master’s Degree in Construction Project Management through Pace University, and has already obtained certification in project management, blueprint reading, architectural engineering, and Sigma construction project management through the University as well. He is also is a candidate for the Architectural Registration Examination and is working towards obtaining his New York State Architectural License. Tom‘s first exposure to working in the architectural field came from working in wood-frame construction. His passion for the industry grew, and he soon realized that as an architect he would be afforded more creative license to design structures that would have a lasting impact on the community. He went on to graduate with honors from the New York Institute of Technology, with a Bachelor’s Degree in Architecture. 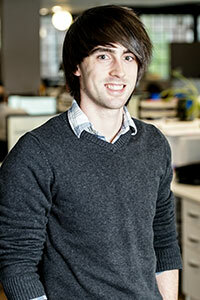 Tom brings over 14 years of project management experience to our team at Aufgang Architects. Prior to joining our firm, he spent several years at various other firms in the city and Westchester County, where he gained experience leading the development of projects ranging from single family residential units to multi-family mid-rise structures and interiors. 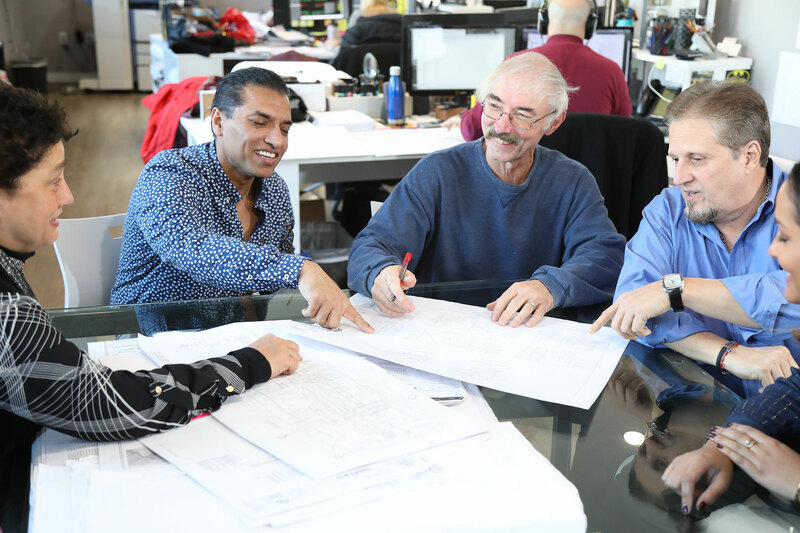 As an associate at Aufgang Architects, Tom is a leader in all aspects of project development - from designing the beginning concept, to overseeing the project through the construction process to completion. He has extensive knowledge and experience in project management, schematic design, project design development, construction drawings, design quality, and project construction. He is also a leader in building and maintaining client relationships, and client and consultant coordination. Tom is a firm believer in the powerful role that technology plays in design, and avidly follows the latest technology trends as inspiration for efficient and innovative designs. Tom is currently a registered Architect in the state of New York, and is a LEED certified professional. 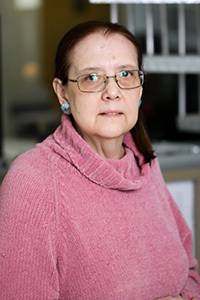 Elise earned her Master’s Degree from Temple University in Philadelphia and went on to begin her career as an administrator for the Association of the Bar of New York City from 1971-1974. Elise joined our firm in 1983 and has proudly served our team since as our longest-term employee. She is responsible for managing Accounts Receivable, Accounts Payable, Human Resources, and all other general administrative duties. Aufgang clients and staff rely on her experience, dedication, efficiency and meticulous attention to detail to keep business running smoothly. Chris’ lifelong passion for architecture and building comes from a childhood spent growing up among sawdust and blueprints as the son of a cabinet maker. After graduating high school he spent 8 years serving his country in the United States Marine Corps, where he learned the value of discipline, precision, reliability and pride in a job well done that he brings to everything he does. After an honorable discharge from the Marines, he began working alongside his father in the cabinetry business. 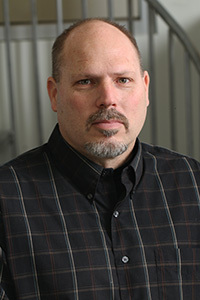 Chris attended Embry-Riddle Aeronautical University from 1988-1991 to study Aeronautical Science, and later went on to earn his degree in architecture from Orange County Community College in 1998. Shortly after college graduation, he joined Aufgang Architects and has worked diligently for the past 17 years. Chris is responsible for the creation of working documents, coordinating consultant documents, notarizing our important paperwork, and additionally does graphic design for our various ads and brochures. He takes great pride and satisfaction in seeing the projects he’s developed begin as drawings done on CAD software, end up coming to life as fully constructed buildings. Outside of work, Chris is an avid Formula 1 fan and is also actively involved with the Marine Corps League, a group of retired Marines who volunteer in the community to help better the lives of many children & veterans. He’s also been known to enjoy the pleasure of dark humor, good cognac, and a decent cigar. Mariano studied Architecture and Design at the University of Buenos Aires, where he graduated from in 1999. During his academic career he worked for several architectural firms as an intern, which taught him valuable experience in working in the architectural industry. Before joining Aufgang Architects, Mariano relocated to Spain where he worked for two leading architectural firms in the city of Marbella. He then relocated to the United Stated where he has worked in architecture for more than 12 years, joining our firm in 2008. 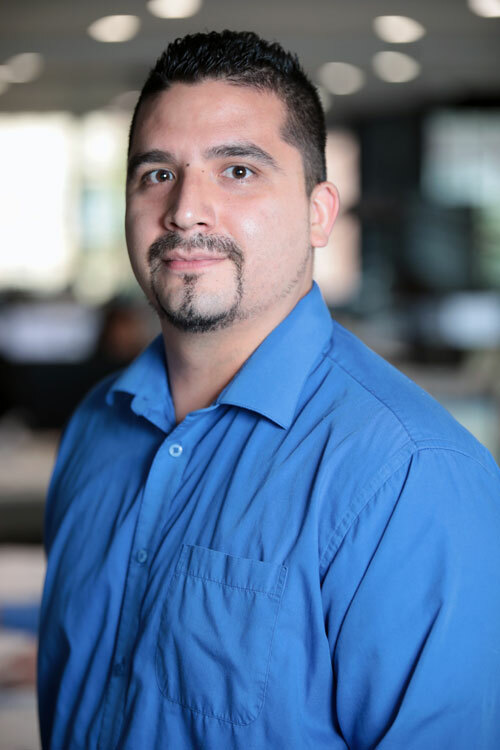 Mariano is highly experienced in hand renderings, having taken courses in design and drawing while attending a technical high school where he earned the degree of construction manager. Mariano is a skilled designer and an excellent team player, he believes that working as a team is crucial in order to complete a project, meet specific deadlines, and exceed a client's expectations. Outside of work Mariano enjoys drawing, outdoor activities and reading. Growing up in the US Virgin Islands, Rolfe was immersed in an environment of European architecture with a tropical signature. It was the beginning of a lifelong passion for the craft of building, the use of materials and of architecture. At a young age he was building foundations and walls out of cement and mud creating rudimentary structures. At fourteen his family relocated to the New York and by that time he knew he wanted to be an architect. Rolfe received his undergrad degree from Parsons School of Design, graduating with honors, and later received his Masters of Architecture from the University of New Mexico. After Parsons Rolfe followed his interests into the building trades in the Southwest and eventually became a general contractor building commercial projects and specializing in passive solar adobe single family housing. Currently, Rolfe is a project manager with Aufgang Architects. He brings to the firm over 24 years of experience on large scale healthcare, military, educational, commercial, multi-family, and multi-use projects in the Southwest and New York metro area. His architectural experience includes the design and management of an array of project types, sizes, and complexities, and he is very familiar with a variety of building types and construction methodologies. His responsibilities include design, construction documents and specifications, construction administration, and primary client interaction. In addition, Rolfe manages and coordinates with internal and external project consultants and project teams to produce projects that were completed successfully and met the client’s expectations and satisfaction. A building built with integrity and cost conscious, as well as a satisfied client gives him the greatest satisfaction. 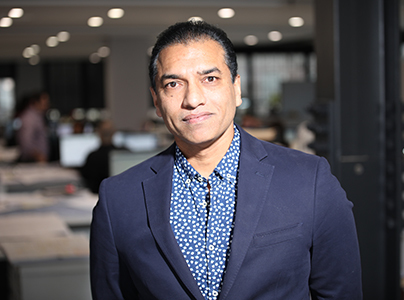 Jeevan brings 20 years of experience to his work with expertise in the design of residential, commercial, retail and mixed –use projects. He joined Aufgang in 2015 to expand his expertise into multi-family housing after working in Singapore and later in Chicago, New York, and New Jersey. 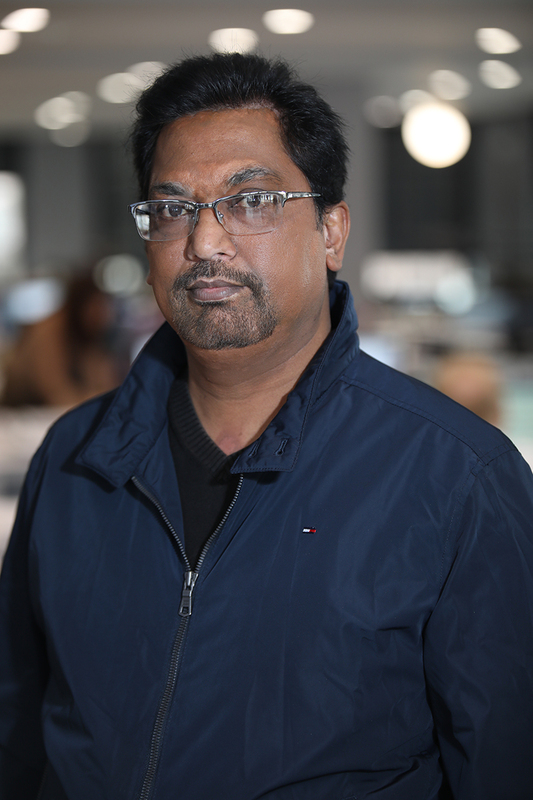 Jeevan believes that Architecture plays an integral role in shaping the way we live, work, and socialize, and he strives to bring meaningful design solutions through strong technical detailing. Jeevan holds a Bachelor of Architecture from Bangalore University in India and is a Registered Architect with Council of Architecture, New Delhi. Besides his passion for Architecture, Jeevan is an avid traveler and believes travel makes you a more well-rounded human being. Dan graduated from Lehigh University in 2014 with a Bachelor of Arts in Architecture and a Bachelor of Science in Civil Engineering. Before joining us at Aufgang Architects, he worked as an assistant project manager for two years at KMB Design Group, a telecommunications engineering company. He also spent time working as a CAD designer at Tricarico Architecture and Design, where he designed retail stores for Foot Locker, Puma, and Adidas among others. Maria was introduced to the architecture field at a very young age, having grown up in Colombia where her father is an architect. Her growing interest and passion for architecture led her to begin learning computer drafting in high school. Maria is currently enrolled in the Architecture program at the New York Institute of Technology. As a student at NYIT, Maria is a member of the Phi Eta Sigma Honor Society of Leaders, the AIAS, and the New York chapter of the Freedom by Design program. She is highly proficient in drafting using AutoCad and Revit software. Maria is excited to graduate and apply her knowledge and technical skills as a full-time Architectural Designer at Aufgang Architects. She earned her degree in architecture from Bangalore University, India and started her career in Singapore working on school building designs. 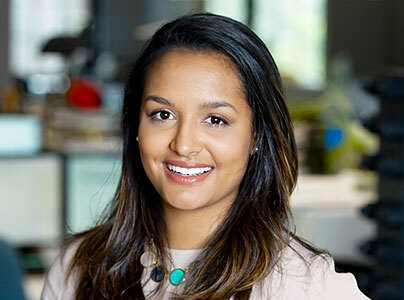 Vidya’s passion for sustainable architecture and designing multi-family housing began while she was working on senior living projects in Chicago. She was also involved in a diverse range of projects including hospitality and retail. She joined Aufgang Architects to further develop her talent, and her diverse professional background and passion for the field of architecture have made her a valuable member of our team. Christopher Walker Job Captain Began as an intern at Aufgang Architects in 2015 and later became a full time employee in November 2017. Chris graduated with a B. Arch from Syracuse University in 2017 where he was a member of both the American Institute for Architecture Students (AIAS) and the Architecture Student Organization (ASO). Chris has studied in Florence, Italy and in addition participated in a Concrete Fabrication Convoy study in Switzerland in the summer of 2015. Prior to working with Aufgang, he worked for Real Data Management (RDM) where Christopher surveyed existing buildings and new construction to produce Fire Prevention Plans (FPP’s), Emergency Action Plans (EAP’s) & Sprinkler/Standpipe Riser Diagrams currently utilized by FDNY. 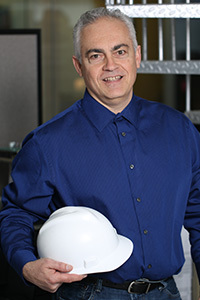 Joseph has over 25 years of experience working on a variety of projects in the tristate area and beyond. His diverse work includes luxury homes and apartments, churches and synagogues, high-end shopping centers, fast food restaurant chains, auto dealerships, schools and healthcare facilities. His international work also includes architectural consultancy for many luxury homes in Kerala, India. In addition to his dedication to architecture, Joseph holds a deep passion for world travel and has visited over 36 countries. He incorporates his worldly experience into his everyday design work and brings to the table a wealth of knowledge about designs from all over the world. His vast experience, both personal and professional, comes with a considerable cultural understanding, which is an important factor in any design. Joseph is a registered Architect for the state of New York with a Bachelor of Architecture degree from the New York Institute of Technology. He is also an active member of the American Institute of Architects. Joseph resides in the home he completely remodeled and rehabilitated with his family in Nyack, NY. Joy joined the firm in May of 2017 and has brought with her over 25 years of expertise including the support to C-Level executives and their respective large teams of personnel. Her diverse skills are a result of her marketing, fashion, information technology and healthcare background. 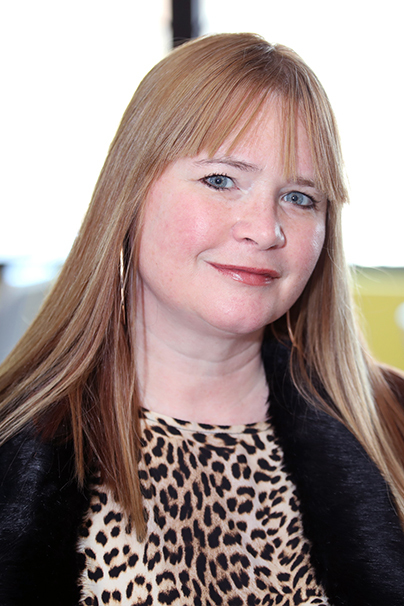 Joy thrives in a fast paced and team environment and loves working with people. At Aufgang Architects, Joy manages the company’s various social feeds, various administrative tasks and duties and is our team building facilitator. Jodi Tyler Administrator Has been with the firm since August 2017 and is one of our key Administrators. 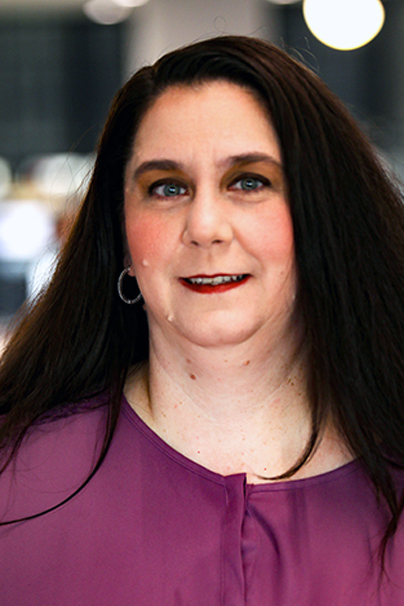 Jodi received her Bachelor’s Degree in Organizational Management from Mercy College in Dobbs Ferry and is currently pursuing her Master’s Degree. Jodi brings over 20 years of administrative experience to the firm; primarily in the engineering field. She is responsible for processing submittals, organizing shop drawings, maintaining calendars, assisting with DOB and HPD applications and notarizing essential paperwork. Jodi is an avid baker as well as a novice gardener. She also volunteers with the veterans living at Rockland’s Homes for Heroes in Orangeburg, NY. 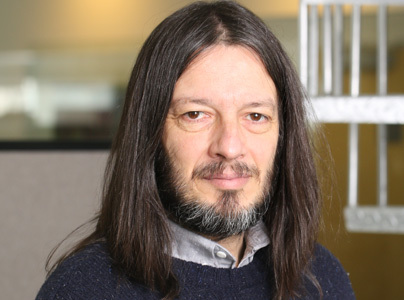 Piero Manrique Project Manager Joined Aufgang Architects May 2018. Piero was born in Lima, Peru and moved to New York at the age of 13. He has always been fascinated by construction and building design as he grew up studying the eclectic architecture of these two cities. Piero graduated with a degree in Architectural Design from Parsons in NYC and while in school he interned with the 9/11 Freedom Tower design team. During the course of three months Piero built extensive 3D models of downtown NYC and Freedom tower using AutoCAD, and was an integral part of the early phases of the redesign process. After graduation Piero worked for a variety of architecture and design firms in the metropolitan New York area. Piero had also studied Fine Art at SUNY Purchase where he designed and created a number of public and commercial murals in New York and Connecticut including a two-story abstract mural for the renovated lobby of City Center in White Plains, New York. 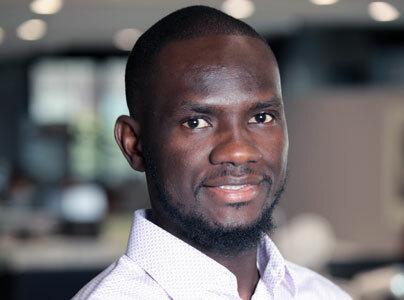 Reginald Marcellin Job Captain Reginald joined the firm in January 2018. Reginald grew up in Cap-Haïtien, a port city in Haiti well-known for its French Colonial architecture. The architectural influence from his culture was so aspirational it inspired him at a young age to design and study buildings around him. Having moved to the United States during his early high school years Reggie than began to pursue his dream and attended the New York City College of Technology where he completed a Bachelor's of Arts in Architectural Technology. Prior to joining Aufgang Architects, Reginald worked on both commercial and residential projects where he applied his working knowledge to architectural planning & design while also working as a freelance architectural drafter. Lizbeth Vidal Job Captain Lizbeth has been with the firm since February 2018. 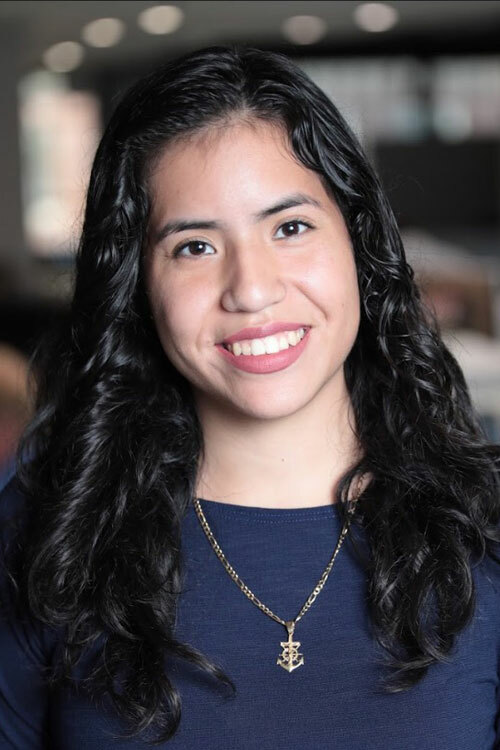 Lizbeth graduated in May 2016 with a Bachelor’s Degree in Architecture from NJIT where she joined both the AIAS (American Institute of Architecture Students) and NSCS (National Society of Collegiate Scholars) programs. Her passion for architecture commenced at a young age as she was fascinated by structures and always had her sketchbook in tow. She spent a significant amount of time between New York and Colombia where her first inspirations came from the columns and murals of the church she attended. Lizbeth is currently working on obtaining her architecture license. 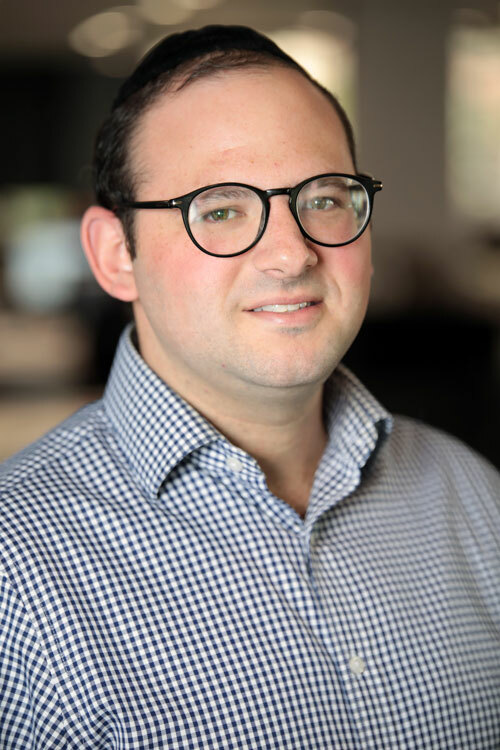 Yitzy Diskind Controller Joined the firm August 2018. He graduated from Touro College in New York in 2009 with a Bachelor of Science in Accounting and is a licensed CPA. Prior to joining Aufgang Architects; Yitzy has worked in public accounting for almost 10 years and brings a wide array of knowledge and experience in accounting, taxes and auditing in addition to bookkeeping as our Controller. Manhar Bhatt Senior Project Coordinator Joined the firm in June 2018. Manhar holds a Bachelor of Architecture and has over 40 years of experience in the A/E/C industry including various projects in the higher education, commercial, industrial and pharmaceutical industries. 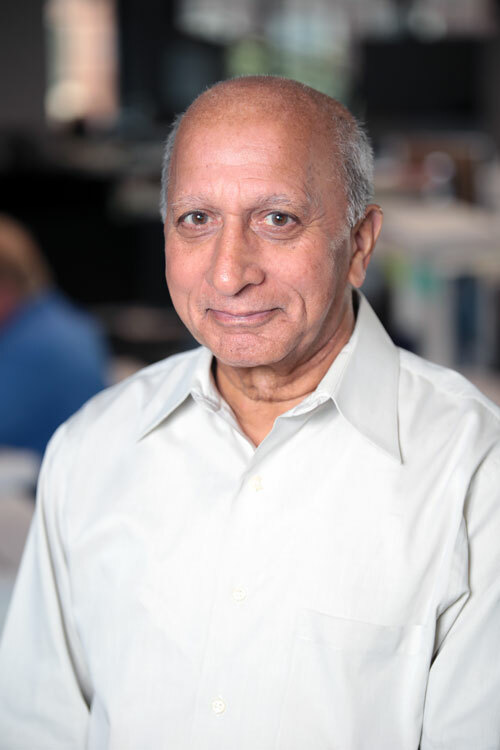 In addition Manhar has extensive experience in building code compliance and ensures during his technical and design reviews all fire, building and energy codes are met per all government agencies and/or private entities requirements. Manhar is an integral part of the project management process. He provides an in-depth quality control review of all specifications throughout the various phases of construction. 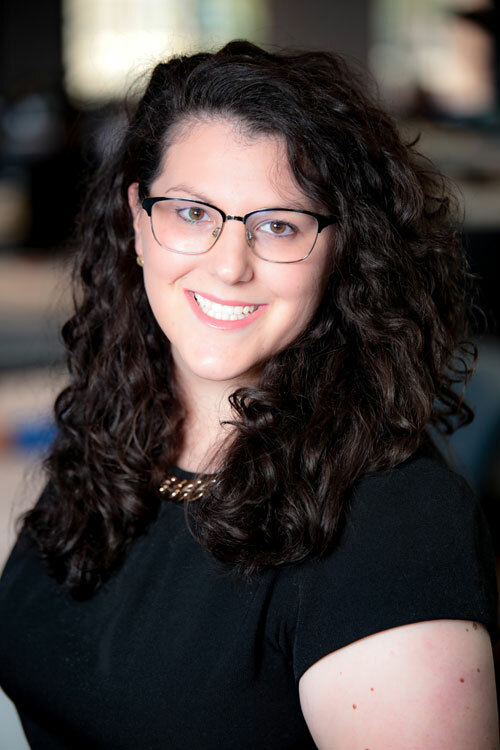 Elianna Essrog Assistant Project Manager Joined the firm in May 2018. Elianna has over 10 years of experience in the Architecture industry and is known for her meticulous attention to detail and keen eye for design. As a graduate from Pratt Institute with a Bachelor of Architecture degree she has worked on numerous, notable single family and multifamily projects ranging in budget, design and project facets throughout the Tri-State area. Elianna brings to the Aufgang team a wealth of knowledge having been mentored from some of the best in the business thus allowing her to successfully manage projects from schematic design through construction administration.